Looking to take your snowboarding skills into the backcountry? Well, get out with big mountain pro, 2 time Olympian and ACMG guide Justin Lamoureux. This clinic will teach all the basics of movement, equipment, efficiency, and safety for aspiring and experienced split boarders looking to get dialed and take it further. This course is 6:1 participant: instructor. This course requires a Whistler Blackcomb pass. 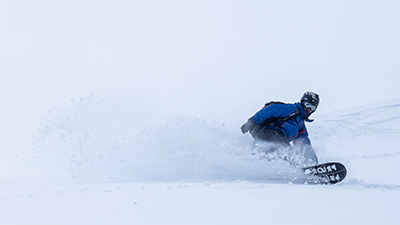 If you do not have a Whistler Blackcomb Season's Pass, Epic Pass or Edge Card, please purchase a Whistler Blackcomb Backcountry Day pass at check out for $61/day.